Sister Cathy Cesnik was murdered in 1969. After her murder Metro Crime Stoppers offered a reward of up to $2,000 for information leading to an arrest and indictment in the case. Shortly after the Archdiocese of Baltimore donated another $5,000 to the reward fund. Now decades later that reward remains in place. 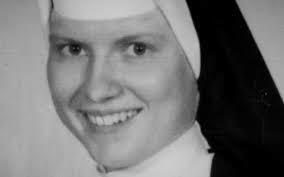 Sister Cesnik’s murder is back in the spotlight due to the Netflix series “The Keepers”. Sister Cesnik went missing November 7, 1969, her body was found 3 months later in Lansdowne, Baltimore County. Anyone with information that leads to the arrest and indictment of the person(s) responsible for Sister Cathy’s murder is asked to submit an anonymous tip to Metro Crime Stoppers at 1-866-7-LOCKUP. If such information is given to Metro Crime Stoppers the tipster will be eligible for a reward of up to $7.000.